Jacksonville, North Carolina is home to Marine Corps Base, Camp Lejeune and Marine Corps Air Station, New River. Our town is filled with Military Families and retirees and Marine Chevrolet Cadillac has been huge supporters of our troops since 1946. We would like to thank you for your service! May has been fabulous but as Military Appreciation Month comes to a close, we want to bring your attention to our special Military Pricing. If you did not already know, GM offers Military Pricing plus qualifying incentives. As an additional ‘Thank You’ for all that you do, we are offering a little something extra for our active duty Military men and women. 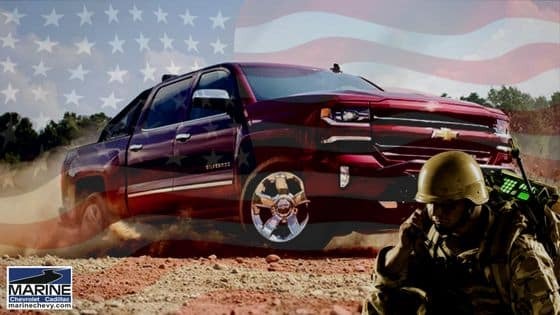 We are proudly offering an additional $500 off the purchase of select model Chevrolet’s and before May comes to a close it’s a great time to combine your Military discount, qualifying rebates and an additional $500 off of a new Chevrolet. As mentioned, this month, GM is offering an additional $500 off for active duty military personnel but Marine Chevrolet is extending this to all military; active duty, National Guard, Reservists and Veterans*. 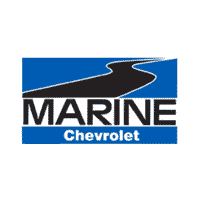 Marine Chevrolet has one of the best and largest selections of inventory and we hope that we will be your dealer of choice, when it comes to your new Chevrolet! Thank you again for all that you do and we look forward to serving you. *Veterans within one year of discharge date and Retirees — including their spouses. Offer expires May 31st, 2017. Call or see dealer for full details. 910 455 2121.Contact dealer to verify vehicle eligibility.